This years EDSA Annual General Assembly took place at the headquarters of Down Spain in Madrid from 26-28 October 2018. The 32 participants came from 20 European countries, representing 24 different associations. 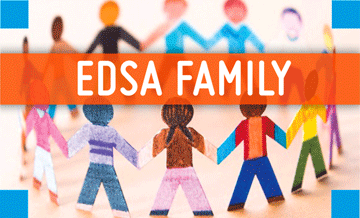 The EDSA Board was elected in Dublin last year and will stay in office until 2020. There is one change in the Board, because Lars Brustad from the Norwegian DS Network wishes to step back as Board member out of personal reasons. Karianne Abrahamsson also from Norway was nominated and elected by the AGA as his successor. Pat is CEO of Down Syndrome Ireland and president elect of Down Syndrome International. He represents EDSA at the European Disability Forum and chairs its Youth Committee and serves on its executive committee. He also serves on the advisory board of the European Coalition on Community Living. He is the parent of David, a 28 year old young man with DS. Anna is not a parent but a professional, Social Worker and collaborates with Associazione Italiana Persone Down since 1981. She is editor of the journal “Sindrome Down Notizie” since 1983, author of several books and publications about DS, social aspects, education, school and work inclusion of persons with DS and coordinates the activities of the AIPD since 1990. In 1989 Anna invented the “Course for the autonomy training of Down syndrome adolescents” that now is present in several cities in Italy and abroad. Tania is a Board Member of the Ukrainian Charitable Organization “Down Syndrome” with the responsibility of the International Liaison. She was a founder and a Service Director of the first in Ukraine Down Syndrome Early Development Center that was opened in Kyiv on November, 2, 2010. She has two sons, 29 and 10 and a daughter, 21. The youngest, Lev, has Down syndrome. Dinka is the president of Croatia Down Syndrome Association. CDSA represents eight local Down syndrome associations in Croatia and around 450 children with Down syndrome and their families. Her only child, Filip (age 14) has Downs syndrome and he is attending a regular school where he is supported by a teaching assistant. Over the 10 years Dinka learned how to work with several education methods for children with Down syndrome and besides devoting herself to the education of her son she also holds several courses for parents and experts. She is the editor of a series of publications in Croatian language from the Down Syndrome Education International, UK. Isidro became a member of the Board of the Czech Down Syndrome Association based in Prague in 2006. He has 3 daughters. His eldest one, born in 1998, has Down syndrome. Isidro comes from Spain, his wife is Czech and they live in Prague. Their children are bilingual. Karianne Abrahamsson is the General Secretary of NNDS which stands for The Norwegian Network for Down Syndrome. 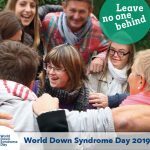 26th of October 2018 they launched their new digital Knowledge- and Info centre www.oppsiden.no Their main goal is to support people with Down syndrome to be able to live their lives with the same opportunities like everybody else. They believe that by giving the Norwegian people adequate knowledge about all the aspects of our group they will eventually be part of the normal variation of society. Karianne is a mother of 5 and her youngest, Oskar was born December 2012, has Down syndrome. He has been included in ordinary kindergarden and in august 2019 he will start ordinary school with the same support as he has received from birth with physiotherapist, special tutor, speech therapy etc which is provided by the Norwegian government. Denis is a searcher-teacher in Physics in retirement of a national state french structure and to day he is director of a company. Denis was one of the founders of Down Syndrom Haute-Garonne association in 1987and president for 13 ans. To day, Denis is member of Down Syndrom Haute-Garonne and Down Syndrom France boards. Father of two, his second daughter, Christelle, has Down Syndrom and is 31 years old. She is accompanied by the SAMSAH service of DS Haute-Garonne. Fulya is one of the founders and vice president of Down Syndrome Association, Turkey. She is mother of a seven years old girl with DS and has another daughter. She is an economist but since five years she has been working for the people with Down syndrome. In 2014 she wrote a children book for the children who have a sibling with DS. Cora was director of the German Down Syndrom InfoCenter and chief editor of the journal „Leben mit Down-Syndrom“ (1998 – 2015). She has been working in the field since 30 years. She is a mother of two, her youngest daughter Andrea has Down syndrome and is 33 years old. 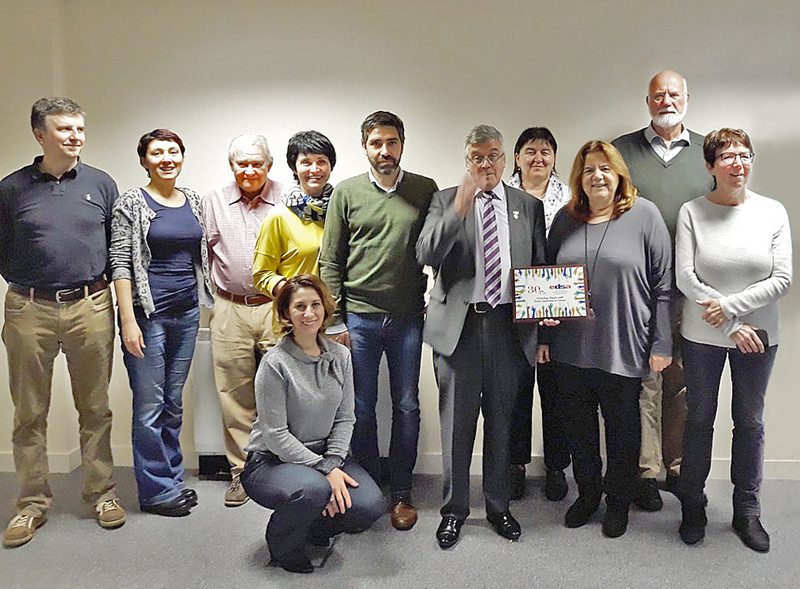 Manuel is board member in DOWN SPAIN, the spanish down syndrome federation which represents 88 local entities throughout Spain. He is president at DOWN VALLADOLID (a local entity in his hometown). Father of two, his eldest daughter Sofía has down syndrome and is five years old. Manuel is a business consultant and advisor, as well as a professor at business schools. Emanuela is the founder and CEO of Down Syndrome Albania Foundation (DSA). She is married and has 3 children. Her first child, Arbi (6 years old), was born with Down syndrome in 2011. In 2013 she founded DSA, and in 2014 she established DSA’s Development and Achievement Center, where all services are for free for both children and individuals with DS and their parents, thanks only to Albanian business donors and DSA’s fundraising activities and campaigns. Frank is the Chief Executive of Down Syndrome Education International and President/CEO of Down Syndrome Education USA. Frank has worked for DSE International since 1996 and was appointed Chief Executive in September 2007. He is responsible for the leadership and strategic direction of the organization. Frank is Sue Buckley‘s son and his sister has Down syndrome. Monika is member of DSÖ, the Austrian Down Syndrome Association. Her daughter Marie (born in 2008) was born with Down Syndrome. 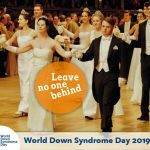 Since 2018 Monika is co-editor of the Austrian Down Syndrome journal, the “Leben Lachen Lernen”. Besides, she focusses on plain language and easy to read information. Juan is the director of the Centro Principe de Asturias (ASNIMO) in Mallorca, Professor at the Universidad de las Islas Baleares (UIB). He has been one of the founders of EDSA and its President from 2001 to 2005. He is also on the DSI board, author and co-author of several publications and organizer of many international conferences. Moreover he was founder of Down España. Since years Prof. Perera supports DS-Associations in South America. Jacqueline has been a professor of biochemistry since 1967 and is now an emeritus professor of molecular pathology at the University Paris-Diderot. She is the mother of Salomé, who is 41 years old, lives independently with her compagnion and has a polyvalent employment in a MacDonald fast food restaurant. She has founded in 1990 the AFRT to make parents think that Down’s syndrome is not an handicap, but a pathology which needs new avenues for medical care and also basic and clinical research as for other pathologies. AFRT choose March 21 in 2005, as a symbolic date and organised the first meeting in Paris for that date and then every year one meeting in France. AFRT is a member of EDSA since many years.